There should be some good TVs deals to be had this Amazon Prime Day, and we'll be rounding up the best as they go live throughout the day. 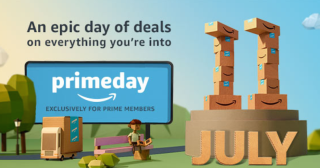 Amazon Prime Day is one of the biggest shopping days of the year, with Amazon slashing prices across all kinds of products. This page is all about the best TV deals, from 4K to HD Ready models, LED and (hopefully) OLED. Take a look below to see all today's Prime TV deals, and the time the deals go live (and end). And with the money you save, you could buy yourself a nice stash of 4K Blu-rays. There's a range of deals on 2017 televisions from Hisense, LG and Sony with savings to be made on 4K HDR models at various sizes.